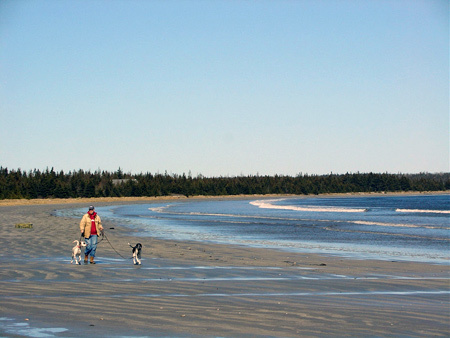 Louis Head’s kilometer long sand beach is located at the mouth of the Sable River. Popular all year round with walkers and runners, it’s long been a place where local residents have gathered for family picnics and swimming during the summer. The beach is constantly changing as sand moves in and out with changing tides and storms, and in very cold winters, ice walls form along the beach providing protection for dunes and vegetation. There are several cottages adjacent to the beach, and with the exception of a small section mid-beach owned by the NS Department of Natural Resources, the land above the mean high water mark is privately owned. Access and a small parking lot are located on Ferry West Road. Included in the Port Joli Sector of the South Shore IBA, Louis Head beach is designated as critical habitat for endangered Piping Plover. Willets nest in the salt marsh to the west of the beach, and migrating shorebirds feed and rest on the beach during their annual journey south. Ducks, sea birds and Harbour seals feed in the estuary, and Common Loons are resident in the winter. 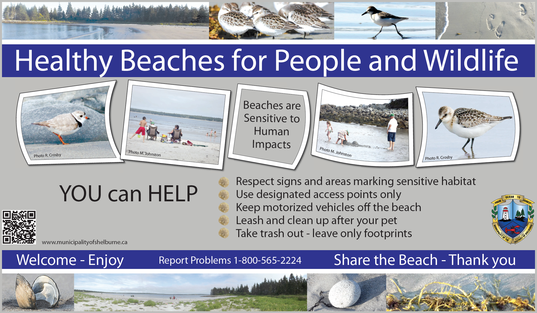 It’s not uncommon to see deer tracks on the beach, or those of raccoons and other small mammals.